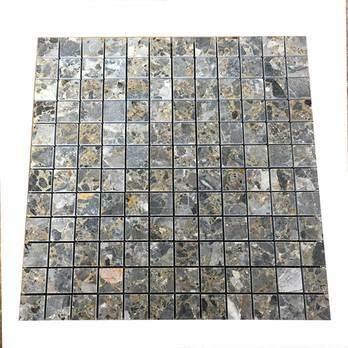 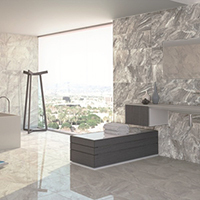 These square marble mosaics have a grey colour and are perfect for modern bathroom and kitchen designs. 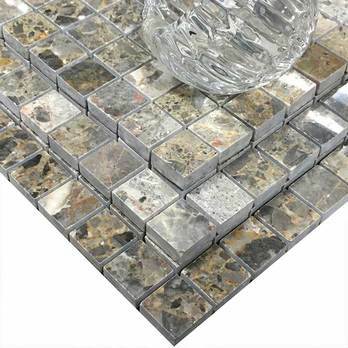 Comprising of a distinctive natural pattern, these mosaics have a unique look which adds style and beauty to any layout. 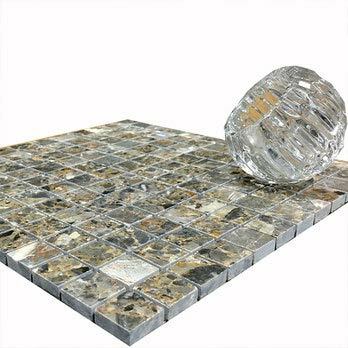 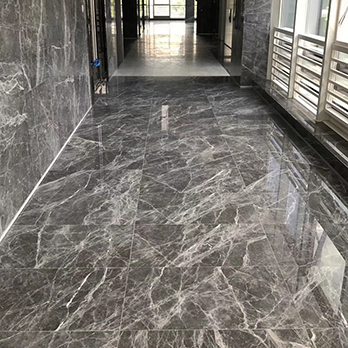 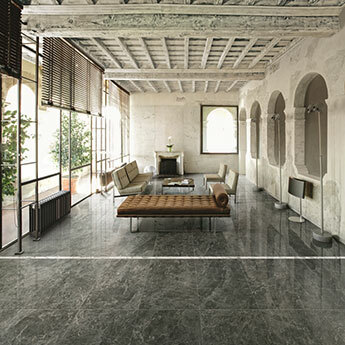 They are well suited to floor designs but can also be used as part of wall decors, particularly as a backsplash feature. 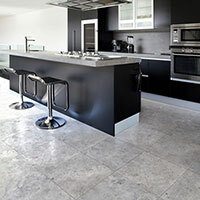 The sleek finish ensures they are easy to clean and maintain. 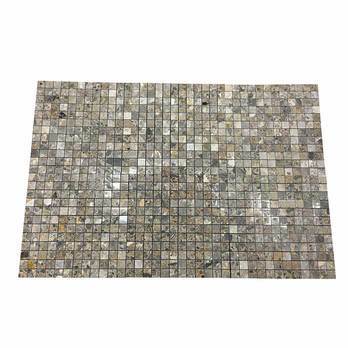 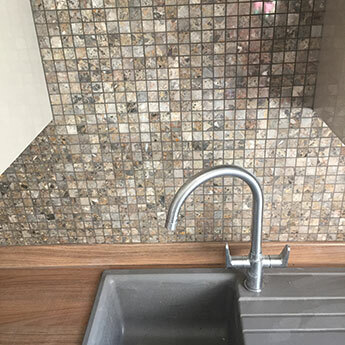 These 298x298mm mosaic sheets comprise of 2.3x2.3mm squares which create the intricate pattern. 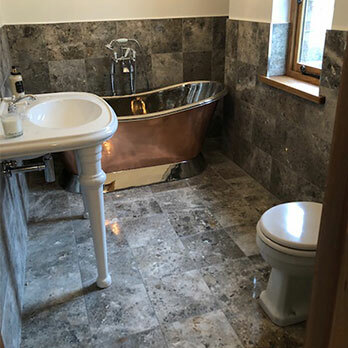 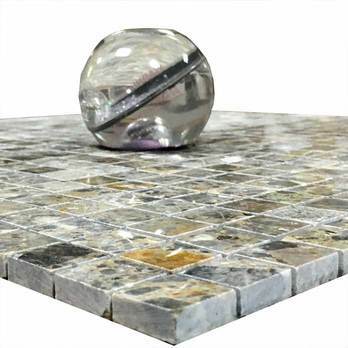 These marble mosaic tiles can also be used as part of border designs, within which they provide a decorative feature. 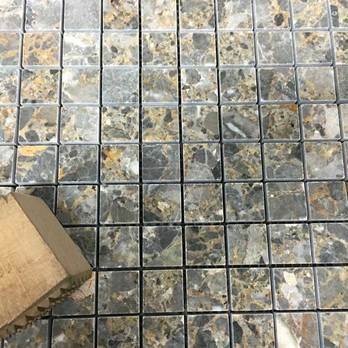 A border application can be created with ease as these mosaics are formatted upon flexible mesh sheets.